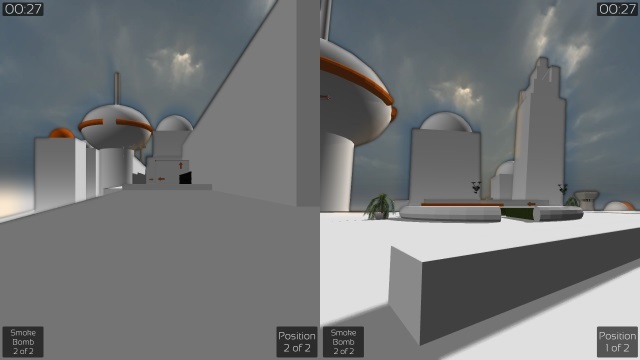 Tempest Trace was made as part of my third-year games development university course. It is a local-multiplayer free-running game created with Unity in which players compete against each other and the clock to reach the end of an obstacle course. The course features a number of places in which there are multiple possible paths to take, some of which are at risk of being sabotaged by other players in return for being a faster route when other players do not interfere. Addition to myself (a programmer), the team consisted of another programmer, a level designer, two artists, and a sound designer.